We are almost done with Taccia inks, just a few more to go. Today we are looking at Taccia Ao Blue. Thanks to Pen Chalet for sending a sample over for review. 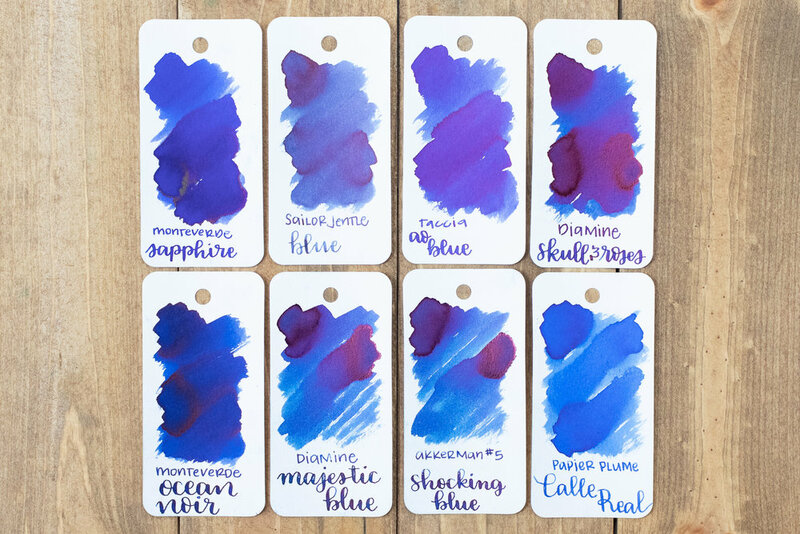 Ao Blue is a beautiful medium blue with coppery red sheen. In large swabs there is some beautiful coppery red sheen (it’s hard to photograph it just right). Other properties: medium shading, high sheen, and no shimmer. 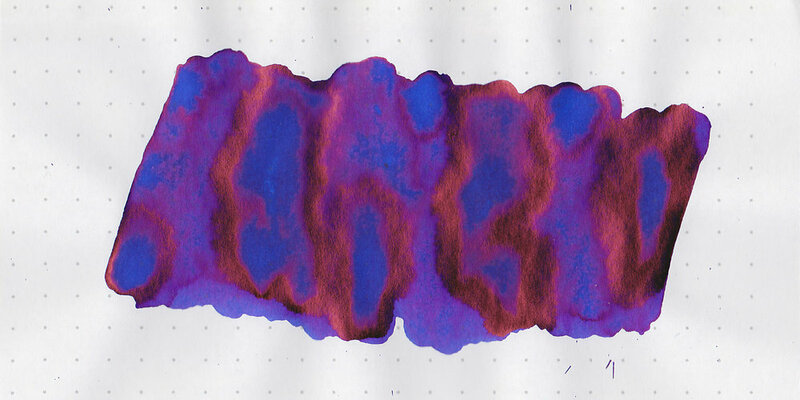 The sheen is visible in all nib sizes on Tomoe River and most nib sizes on Rhodia and Leuchtturm, but it’s a more subtle sheen, not so in-your-face as other sheeny inks are. On Staples 24 lb copy paper there was feathering in the larger nib sizes and a little bit of bleeding in the flex nib. Ao Blue is a bit brighter than Sailor Jentle Blue, but they are similar. Click here to see the Taccia inks together. 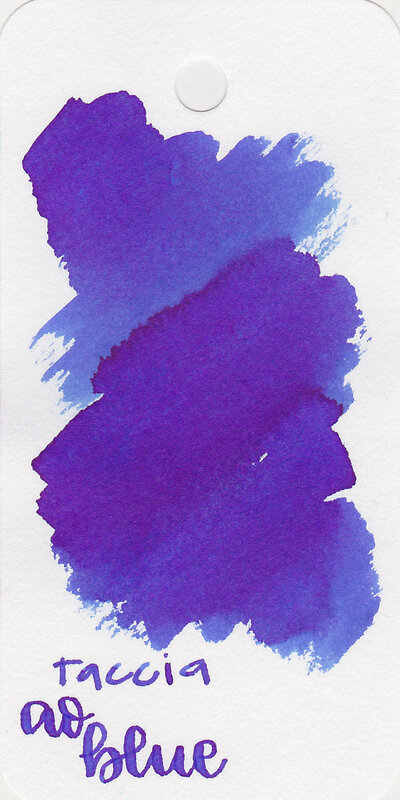 I used a broad Pelikan M805 Vibrant Blue on Tomoe River 68gsm. The ink had a wet flow. I love this ink/pen/paper combo. It’s beautiful. Overall, its pretty well behaved and has a really nice flow. I like it.